Iron is another transition metal with chemical symbol Fe and atomic number 26. 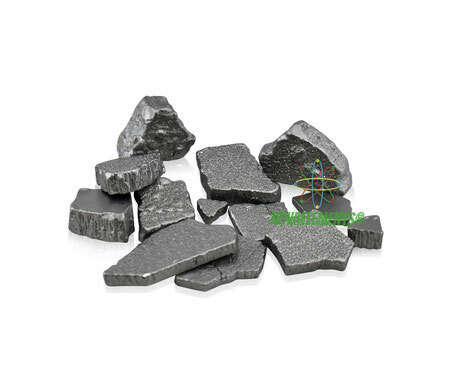 Iron is a silvery metal, which is very abundant and is used for multiple purposes. Commonly it is alloyed together with carbon and other elements, to become steel. The number of different steels is very high, their characters vary over a wide span. 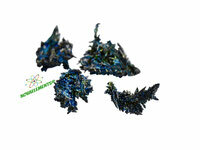 Sometimes pure iron occurs in nature, but most is found in ores. Meteorites, that hit Earth's ground and don't evaporate before, often are iron meteorites. Iron can be seen as an energetic ideal state of matter. Smaller atoms can set energy free by fusion, larger atoms by fission, but from iron no nuclear energy can be won. 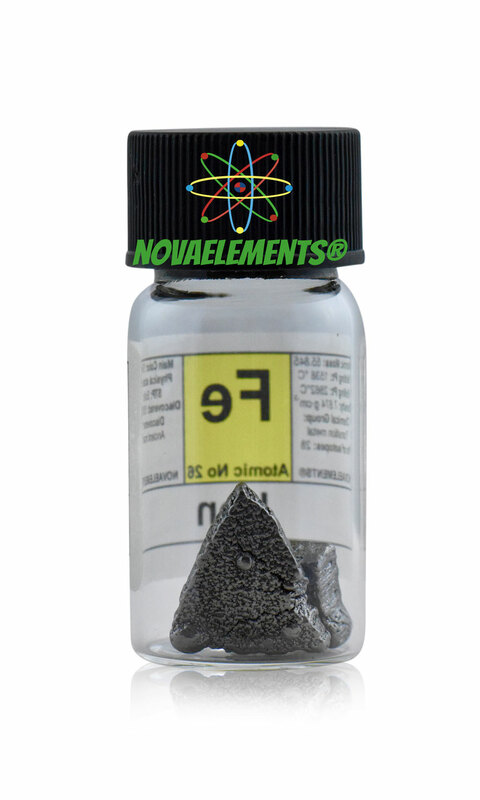 Iron 56 and 58 and nickel 62 have the highest binding energy per nuclear particle. Very big stars form an iron core shortly before their final collapse and the following supernova. Iron is essential for mammals and makes our blood red. Iron is known to humanity since several millennia and has shaped our culture and civilization like no other element. 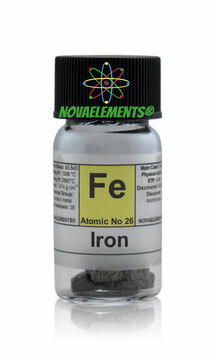 high purity Iron metal element 26 sample of 5 grams, shiny silvery pieces in vial. Pure iron pieces. High purity 99.95% Iron metal rod, pure element 26 Fe sample.